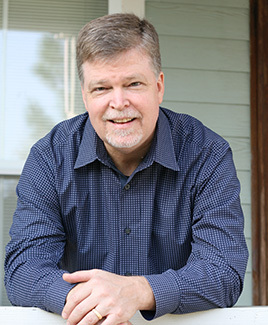 Paul Bailey is a lifelong Houstonian, except for 4 years in Austin, while earning his Bachelor of Science degree at The University of Texas in 1984. His father, Dr. John Bailey, was a successful orthodontist in west Houston for over 30 years. His mother, Judy, was always home to greet him and his three brothers coming home after school - in addition to participating in several successful small business ventures. Upon graduation, he entered the insurance and investment business. For the last ten years, he has grown and developed his practice with IMG Financial Group, a diversified Financial Services firm located in the Galleria area. Paul’s business mentors include Darryl Fawcett, Terry Deyo, the late Bob Earl, and Allen Applebaum, Chairman, IMG Financial Group. Greatly encouraged by his parents, his passion for music has been lifelong. He was involved in numerous musical activities at Westchester High School in Spring Branch ISD, and was a member of Longhorn Singers at UT. His primary musical influences include Billy Joel, Elton John, Sting, Styx and Steven Curtis Chapman. Paul married the love of his life, Tara, in 1986. They have lived in Copperfield since then and have three wonderful children; a son who graduated from Texas A&M in College Station majoring in Industrial Distribution, a daughter who is a junior Pre-Med Biology major in the Honors program at TCU, and a fourteen year old son in Cy-Fair ISD, majoring in Fun and Sports. In addition to coaching his son’s baseball team and serving the community, he is having the time of his life singing with the CRB.